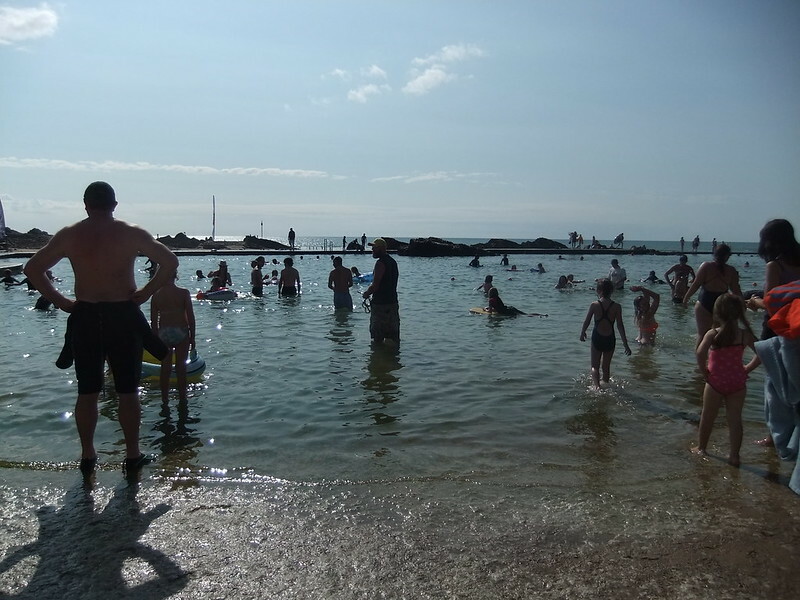 In the first week of August I was lucky enough to be invited on a family holiday to Cornwall, and we were fortunate to have a week of the sunniest, hottest weather I've ever known by the British seaside! 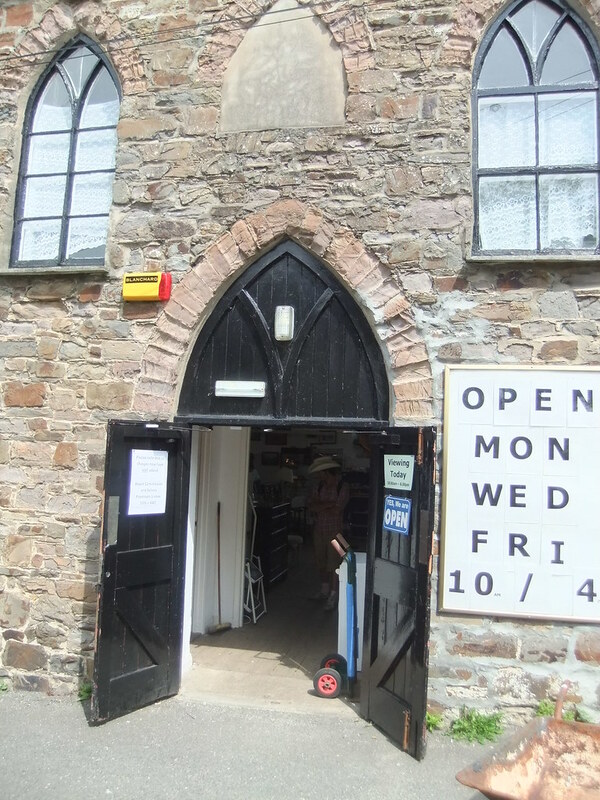 We stayed in Bude, a beautiful little town on the north coast of Cornwall, and I was pleasantly suprised at how much there was to interest the vintage and/or history lover. Here's my roundup of the best bits. 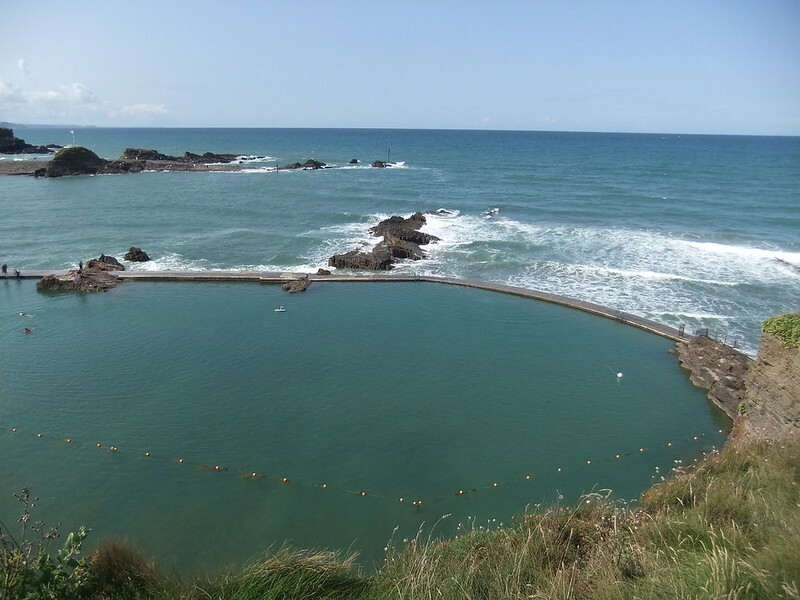 If you're lucky enough to visit Bude in a spell of warmish weather, the top attraction has to be the spectacular Sea Pool. 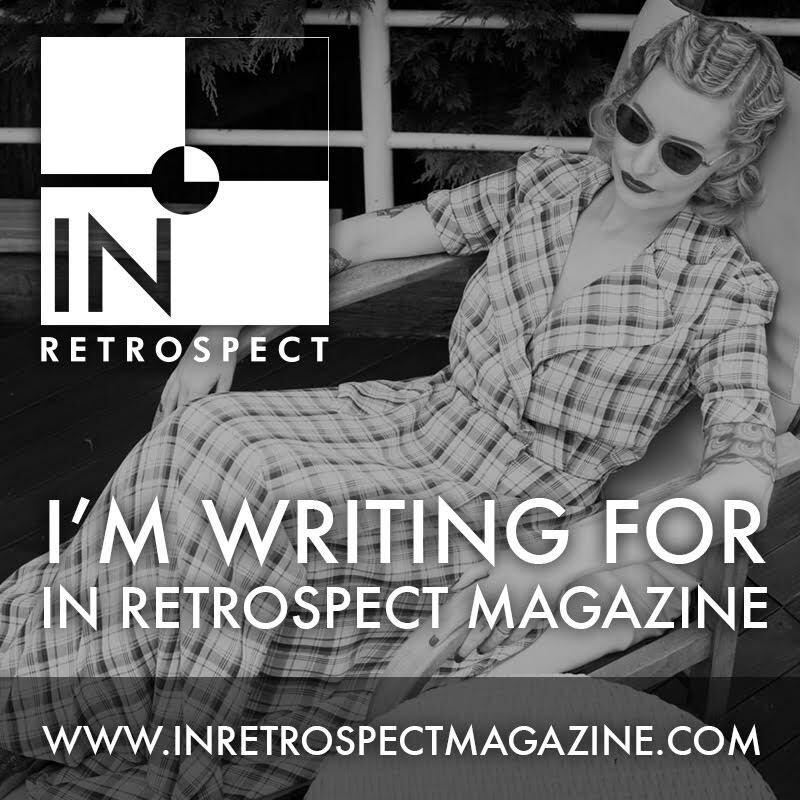 Built in the 1930s, it captured my imagination with its spectacular location under the cliffs. And yes, I went for a dip! I'll spare you the photo of me in my bikini though. 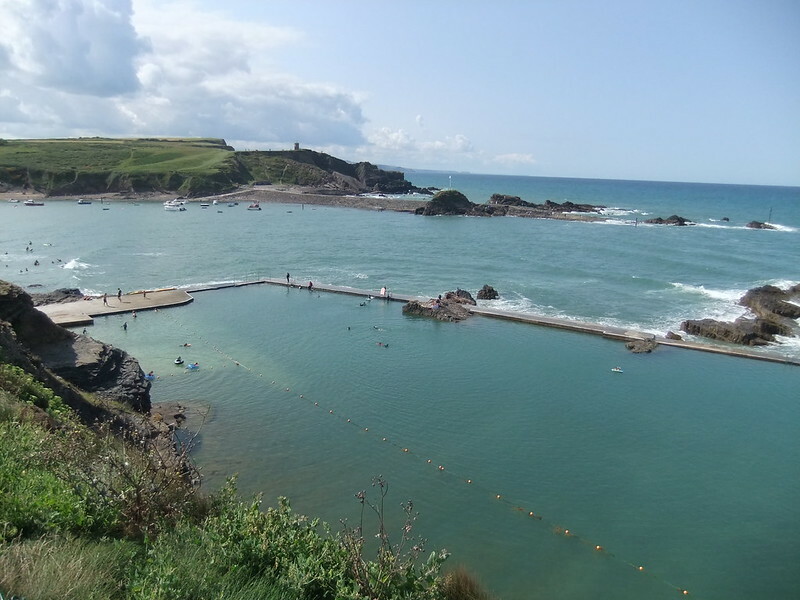 There's also a heartwarming tale attached to the pool, in that funding cuts threatened its closure some years ago - until the community clubbed together, determined to save it through the Friends of Bude Sea Pool. They still need lots of money to keep the pool going, but they've done a fantastic job so far in raising funds for the ongoing maintenance and improvements needed. If you stroll along the coastal path to the next beach up, Crooklets, you'll see some more 1930s buildings there. 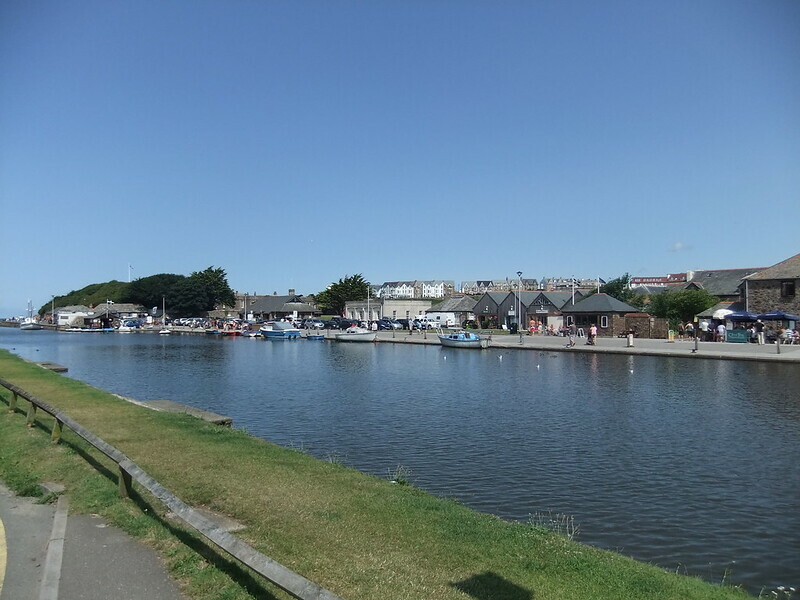 Bude Castle stands in the canal quarter, behind the main beach, Summerleaze. 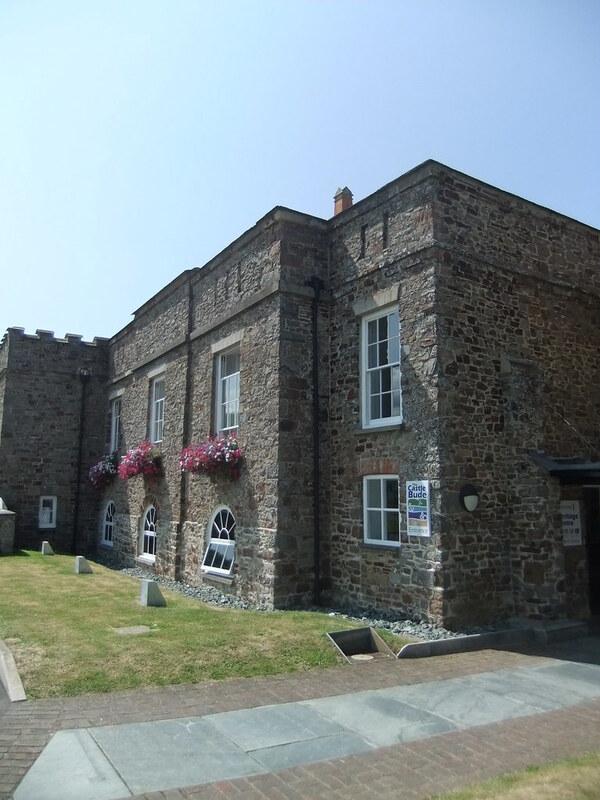 It houses a little museum, with some interesting sea-related displays as well as some relating to the famous engineer Sir Goldsworthy Gurney, who had the 'castle' built as his family home in the 1800s. There's also a small art gallery, and a really lovely looking cafe with a terrace, and a stroll along the canal later will give you a few craft shops to browse in. 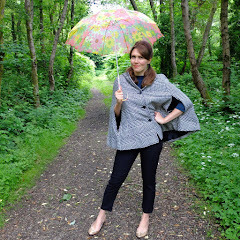 A good option for a chillier, or wetter, day. Quaint little tea rooms and bakeries abound, and you will be spoilt for choice if you're keen to sample Cornish ice-cream, Cornish pastys, and Cornish cream-teas. I sampled lots of Cornish pastys, and my favourite was 'Tasty Pasty' at the top end of Bude - for both taste and price as they were the cheapest, and the tastiest! 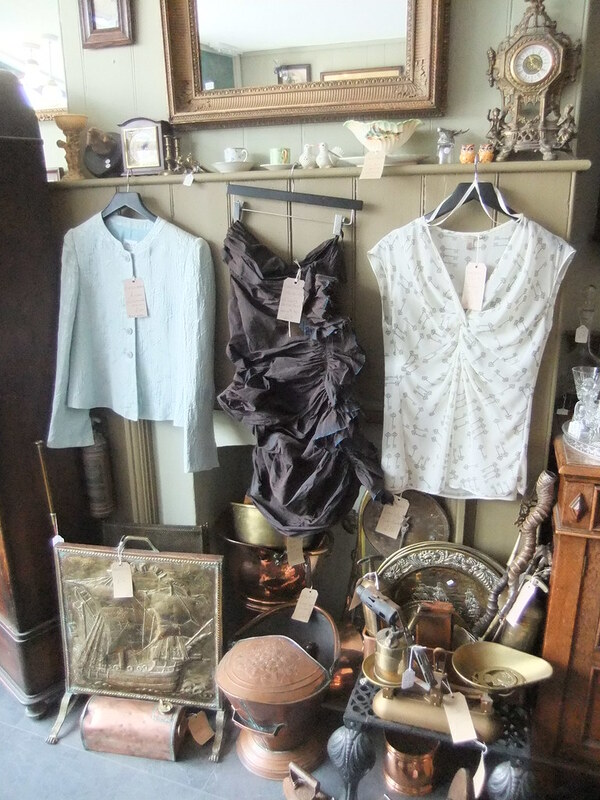 The charity shops in Bude I found fairly expensive, but they're always worth a rummage. I did pick up a fun 1950's cocktail brooch for £1. Bargain. Also, don't forget to look out for tabletop and carboot sales! There was a tabletop sale in Parkhouse Community Centre while we were there, as well as twice-weekly car boot sales held in a field on the main road into Bude. We picked up things like clothes, tools etc. and there was always fresh local produce such as free range eggs and home-grown tomatoes. Prices were reasonable, and the carboot seemed to have a lot of stalls selling jewellery and vintage china in particular. 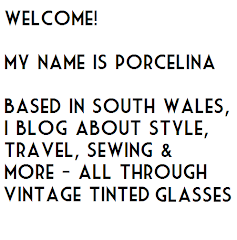 We had limited space in our car, so I had to leave lots of 1930's plates and tureens where I found them! 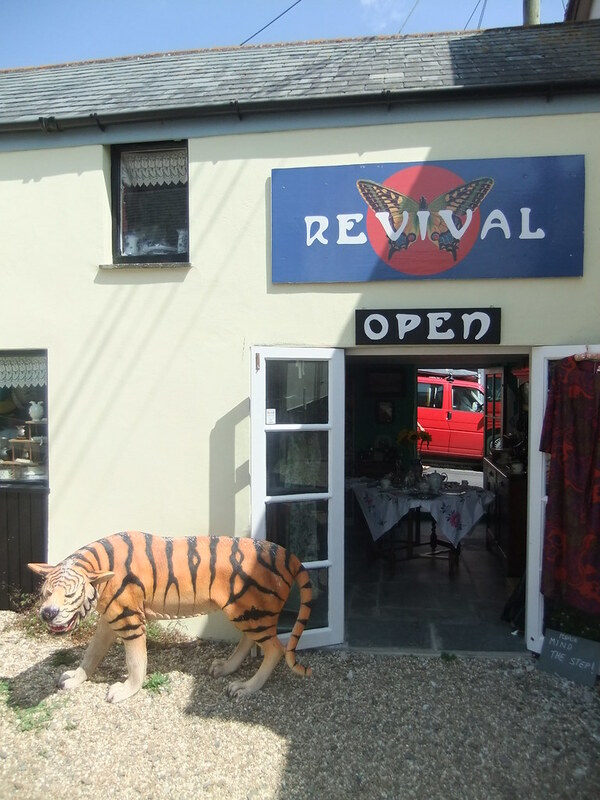 In terms of 'proper' vintage and antiques shops, first up is 'Revival', tucked down a side-street. 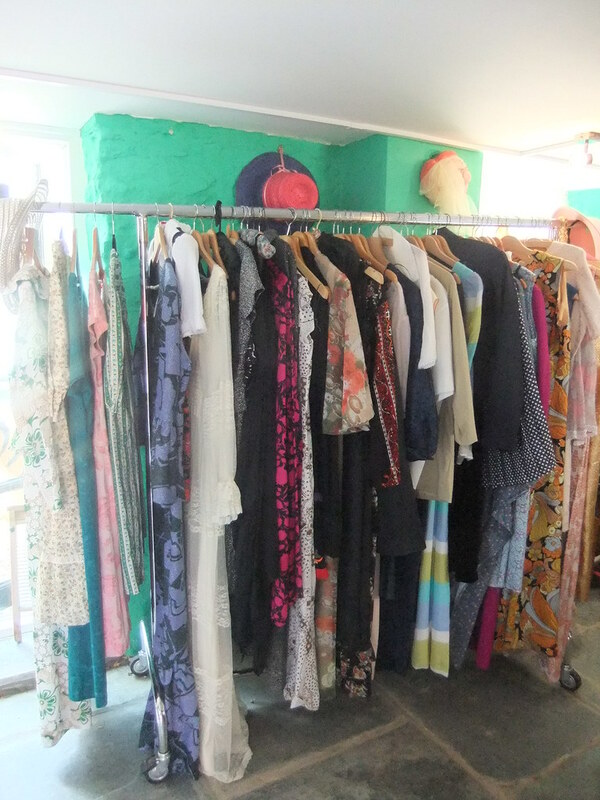 There's an assortment of clothing, bric-a-brac and antique items, and all of the clothes are very reasonably priced, and are from a range of eras. Really good for a browse, and the owner might even entertain you with some harp-playing while you're there. 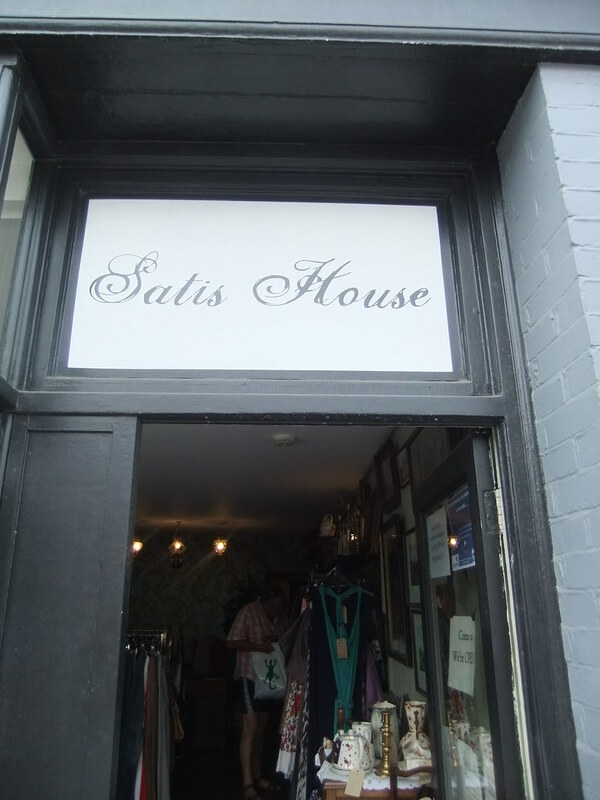 Next you might want to visit 'Satis House', a wonderful mishmash of antiques store and consignment store. 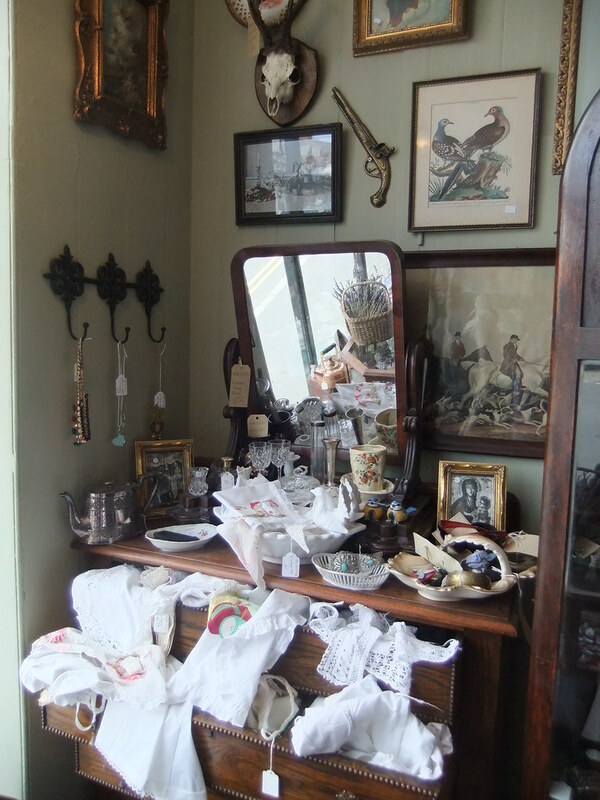 It sells mainly modern clothes, shoes and accessories, but the store is decorated in a wonderfully wistful way, inspired by Miss Havisham's house in Great Expectations, 'So that we didn't have to dust', one of the owners joked with me. 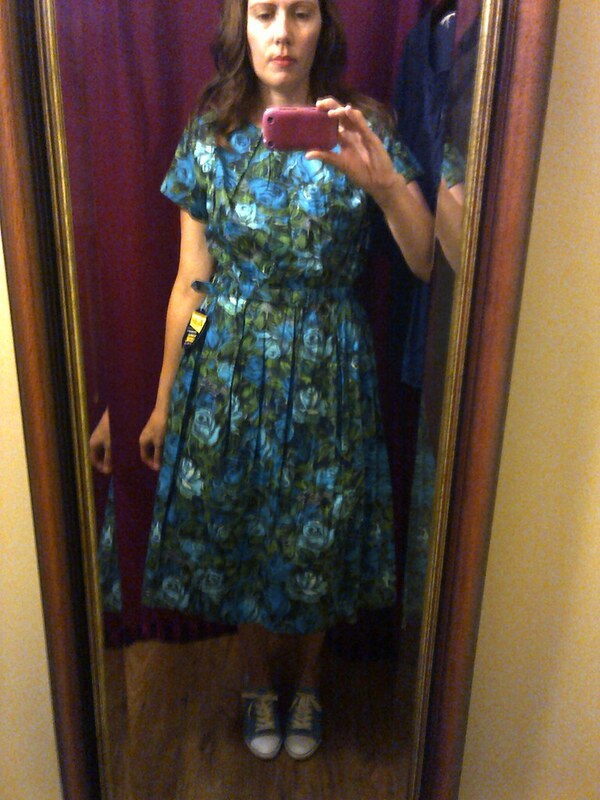 I tried on a deadstock 1950's dress (just £25!) but it was too big, and as my sewing alterations pile is already overflowing so I left it for someone else. 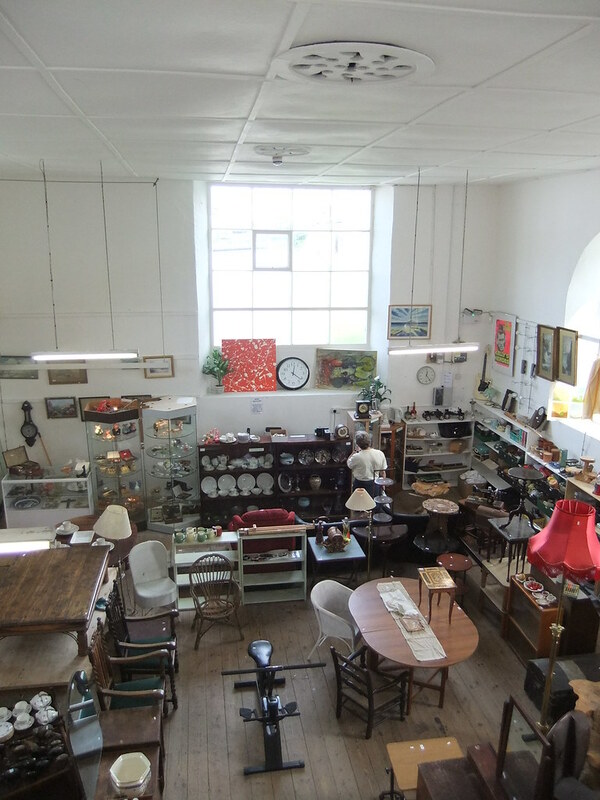 If you prefer the thrill of bidding for items under the hammer then Bude Auctions might be for you. We were unfortunately leaving on the day of the sale, but we did get to 'preview' the lots, and there was certainly lots of china and 'brown' furniture if that's your sort of thing. 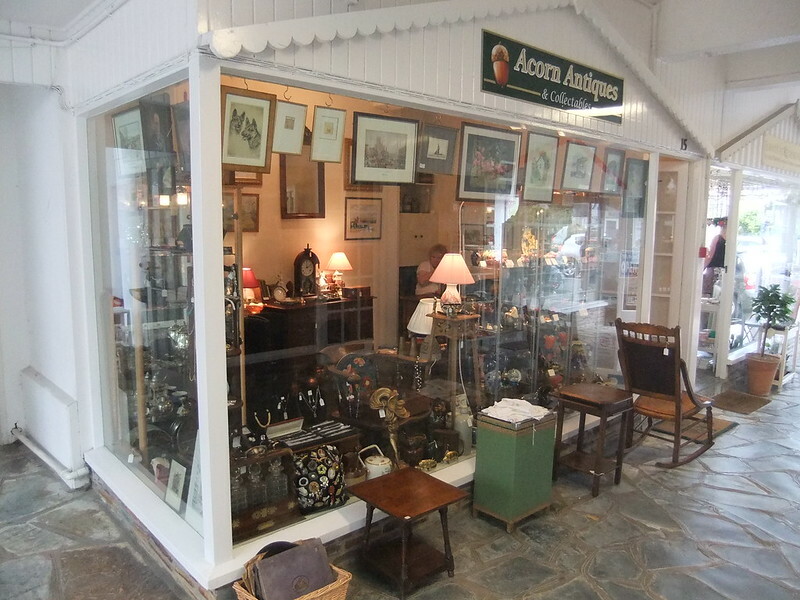 Finally, the arcade at the bottom of the high street houses two tiny antiques shops. 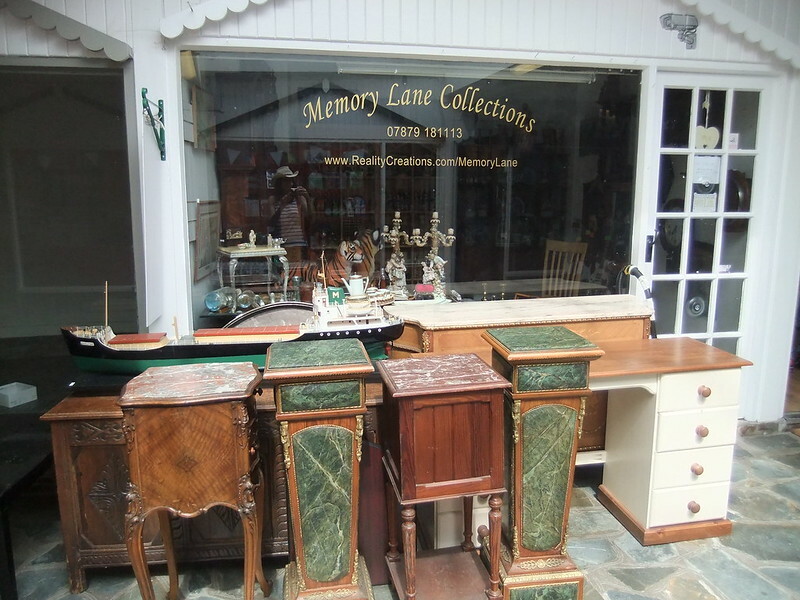 One was closed when we were there, but the other had a good selection of little brooches, ornaments and small furniture items, so again well worth a browse. 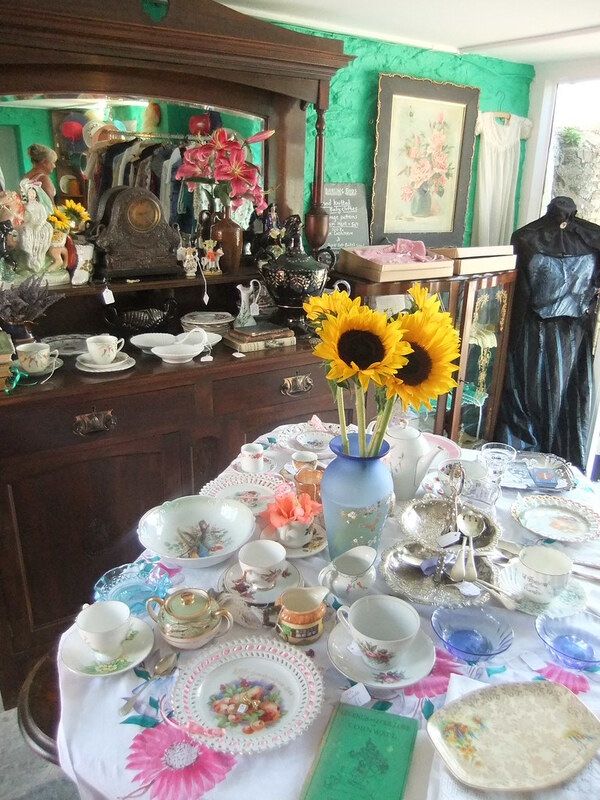 There's certainly plenty to keep the vintage lover entertained in Bude, and if you tire of all that, there's lots to see within a short drive. 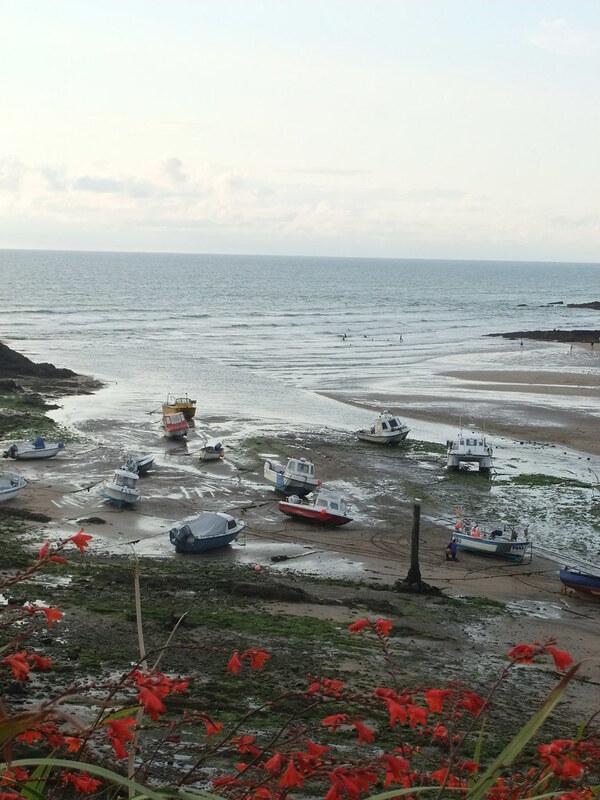 Have you ever been to Bude? Does it look like somewhere you'd like to visit?